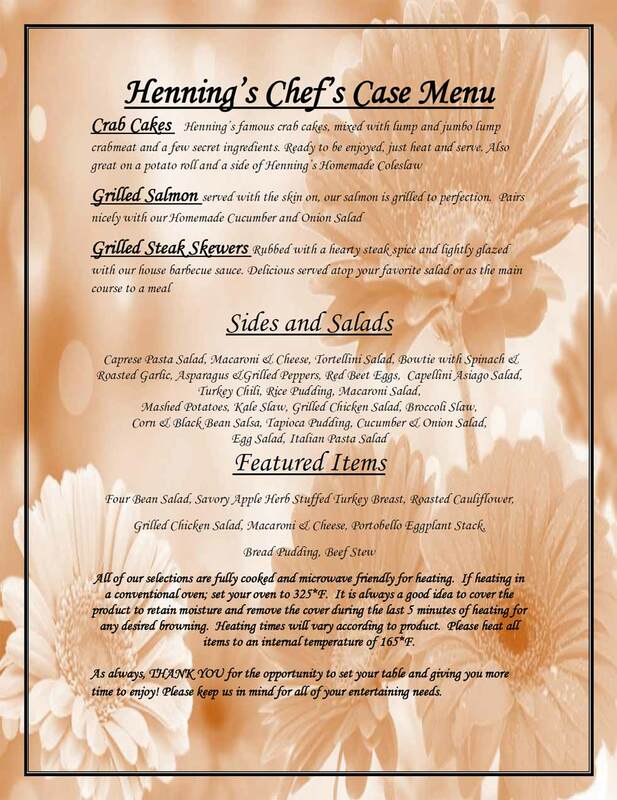 Henning's Fresh Market Buffet is open Every Day from 7 AM - 8:30 PM for your dining pleasure! Enjoy the ambiance of our main level and terrace seating areas complete with television screens and fire places! Our food is prepared daily, in-house, by our incredible chefs and food service staff. Henning's Fresh Market Buffet offers 6 Buffets (Soup to Dessert). All You Can Eat! 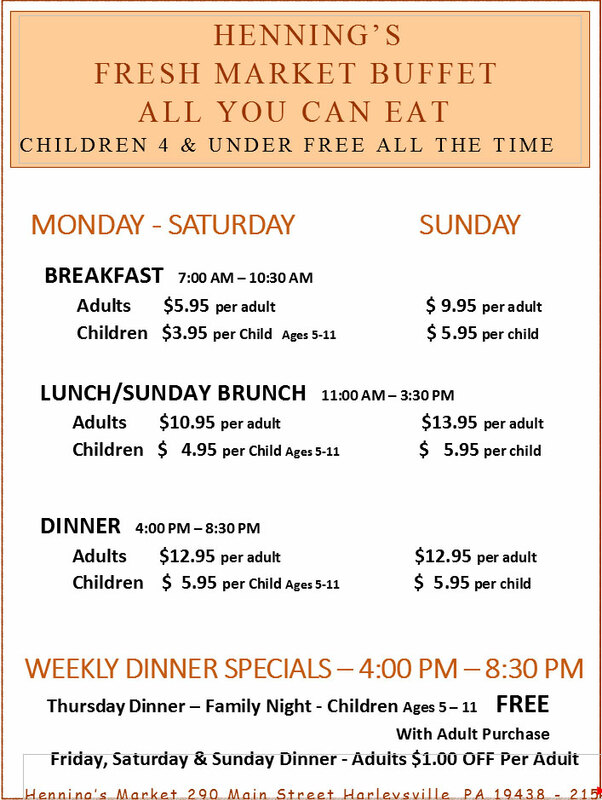 Enjoy Our Breakfast, Lunch, Dinner and Sunday Brunch Buffets.